Subramanian Swamy is the new celebrity in Sri Lanka. In the capital, he travels in tinted jeeps with a security detail, presumably because he has been a vocal critic of the LTTE. Swamy is mobbed by reporters eager to hear his views on Indo-Lanka relations and the Tamil issue. He is afforded lengthy television and print interviews, in which he never minces his words. He is vociferously anti-Tamil Nadu and Tamil diaspora, purports to be an expert on the Narendra Modi Government’s positions on the Sri Lankan issue and using silky tones, criticises the Tamil National Alliance and its continuing struggle for maximum devolution and a permanent political solution to the ethnic issue. Naturally, everything he says is music to the Sri Lankan Government’s ears. The election of Bharatha Janatha Party (BJP) strongman Narendra Modi in India was met with jubilation in Government circles in Colombo. The BJP was so antithetical to the Congress Party in ideology and policy that the Rajapaksa Government believed its relations with India – faltering over the past few years under the Manmohan Singh administration – would finally turn a corner. It was perhaps prematurely concluded that the Modi Government’s heartbeat would resonate with the Rajapaksa administration in Colombo: The former Gujarat Chief Minister was not only a strong nationalist, but a political leader who prized development and economic growth above all else. For nearly 10 years, the Rajapaksa administration had been dealing with the Sonia Gandhi-led Congress Party as it navigated the crucial relationship with New Delhi. The relationship had been fruitful at first. The Gandhi family’s personal tragedy at the hands of LTTE brutality ensured the Congress would strongly back the Government’s military push to defeat the Tigers. It was post-war that all the trouble started. As the years progressed, Congress Party leaders grew increasingly frustrated with Colombo’s intransigence on the issue of devolution for the Tamil people, a key understanding upon which New Delhi cleared the way for the Rajapaksa Administration to finish the war in 2009. A series of broken promises to Congress Ministers and Prime Minister Manmohan Singh himself on the devolution issues, created a chasm between the two Governments. The Sri Lankan Government had suffered a major loss of credibility with Congress Party seniors. Then, when it felt betrayed by New Delhi’s positions at the UN Human Rights Council where India voted for the US sponsored resolutions on Sri Lanka for two consecutive years, the Rajapaksa Administration stopped playing nice. The relationship was at an all-time low earlier this year, but one of the Congress regime’s final acts was to abstain on the most serious UN resolution on Sri Lanka yet, adopted in Geneva in March this year. The abstention repaired a little damage, but it was the advent of Modi that the Government believed would bring the real change in policy towards Sri Lanka. The tough-talking Gujarati politician proved the regime wrong at the very outset, when he reinforced the former Indian Government’s call for a political solution that went beyond the devolution offered in the 13th Amendment. President Mahinda Rajapaksa’s first bilateral meeting with the new Indian Premier did not go the Government’s way. Prime Minister Modi is reported to have brought the conversation back to the question of devolution when the Sri Lankan delegation was waxing eloquent about reconstruction efforts and infrastructure development in the war-torn Northern Province. When the official Presidential statement failed to make mention of the talks between the two leaders on the 13th Amendment and a political solution, Indian Foreign Secretary Sujatha Singh repaired the omission by highlighting the contours of that discussion to the press corps in New Delhi. By all accounts, it was an unhappy airplane ride back to Colombo from New Delhi for the Sri Lankan delegation following the Indian swearing in ceremony in May. But in spite of the early disappointment, the Government persisted in believing it had turned a page with New Delhi. Repeatedly and using the strangest excuses, President Rajapaksa released batches of Indian fishermen detained in Sri Lanka for poaching. India’s consistent repudiation of the UN investigation into allegations of war crimes committed in Sri Lanka, bolstered hopes that the new regime in India would be a staunch supporter of the ruling administration in Colombo. Rhetoric by Indian politicians like Swamy, who the Sri Lankan Government has been cultivating for years, actively reinforced these notions. In Colombo, Swamy has become an unofficial spokesperson of sorts for the BJP led alliance, even though the Indian Lok Sabha MP has only been a member of the ruling alliance since 2013. Other BJP leaders also travelling to Colombo with Swamy recently expressed different opinions. Yet it is Swamy whose statements have received the greatest play as an authority on how the Modi Government will frame its Sri Lanka policy, on Government websites and the State-controlled media. The Indian politician, whose remarks have grown increasingly shrill in Colombo, outdid himself last week at the annual Defence Seminar organised by the military. Swamy intimated in his usual authoritarian tones that the TNA would have to obtain President Rajapaksa’s permission before it undertook a mission to New Delhi to meet with the Modi Government officials. In an interview on the sidelines of the seminar, Swamy expressed similar views, saying the Indian Premier would not grant appointments freely. “He (Modi) will be very choosy, and we are also now in the process of rebuilding our relations with Sri Lanka. Things won’t be the same as the last time when the TNA met the prime minister – at the time they met him when they felt like doing so,” Swamy scoffed in the interview with a local weekend newspaper during the Defence Seminar. The Defence Seminar concluded on 20 August. The same day, news broke that the TNA would travel to New Delhi on Thursday (21) for meetings with top Indian Government officials. A meeting with Prime Minister Modi was also on the agenda. The TNA visit was being scheduled over a period of time, but exact dates were left ambiguous by both the Tamil Party and the Indian mission in Colombo until the very last minute. Indian diplomats both in Colombo and MEA officials in New Delhi are reportedly irked by the tenor and content of Swamy’s repeated statements in Colombo, in which he appears to be articulating Indian Government policy. The timing of the TNA visit, while accidental, exposed Swamy’s actual position within the Indian Government, since he appears to have had not the slightest inkling of the Modi regime’s true plans with regard to its engagement on the Sri Lankan Tamil issue. On Friday (22), the five-member TNA delegation, led by Party Leader R. Sampanthan met with Indian Foreign Minister Sushma Swaraj at South Block, and even held discussions with former Prime Minister Singh. On Saturday, the TNA delegation met with Prime Minister Modi at his office in New Delhi. Sampanthan’s delegation was strongly urged by the Indian High Commission in Colombo and by the Indian Ministry of External Affairs in Delhi during its pre-Modi discussions to avoid the subject of the UN investigation and human rights issues during the crucial meeting. Issues pertaining to the smooth functioning of the Northern Provincial Council were also left untouched during the Modi-TNA meet, with the Indian Premier scheduled to meet separately with Northern Chief Minister C.V. Wigneswaran to discuss those matters, sources said. Last week’s meeting between Prime Minister Modi and the TNA was to focus almost entirely on devolution issues, the sources added. However, the TNA delegation did raise the issue of heavy militarisation of the Tamil majority Northern Province and also touched on issues of sexual violence and the vulnerability of women in the former war zone. Modi’s take on the TNA meeting was no different to the positions articulated previously by the Indian Congress Government, which also called for a political solution in Sri Lanka that built on the framework of the 13th Amendment. This will not sit well with the Government in Colombo, whose relations with the Congress government were also marred by repeated calls for 13 Plus by Indian leaders. Yet several other interesting things during the TNA visit will have an equally discomfiting effect on the Rajapaksa administration. Indian High Commissioner to Colombo Y.K. Sinha also travelled to New Delhi to attend the high-level meetings during the TNA visit. Envoys to foreign countries traditionally travel back to their home countries for consultations prior to major bilateral visits by a head of state, foreign minister or ministerial delegations of the capitals to which they are posted. High Commissioner Sinha’s presence at the discussions between Minister Swaraj and Prime Minister Modi indicates the weight and significance New Delhi proffered to the TNA delegation’s visit. Sinha would have been recalled to New Delhi for consultations prior to the meetings with the TNA, to brief Indian officials on the current situation on the ground in Colombo. The Modi Government’s decision to grant the TNA delegation an appointment, second only to the bilateral with President Rajapaksa which was the new Indian Premier’s only interaction with Sri Lankan Government representatives thus far, may imply that the same level of engagement with the TNA as a major stakeholder in the search for a political solution in Sri Lanka, will continue. Thirdly, TNA Leader Sampanthan who is still in Tamil Nadu visiting family, held a press briefing in the BJP office in Chennai yesterday. On either side of the Sri Lankan Tamil politician as he spoke to the press corps in the southern Indian city was the recently-appointed Tamil Nadu President of the BJP, Tamilisai Soundararajan and Pon Radhakrishnan, Minister of State and BJP heavyweight in Tamil Nadu. The message to Colombo is loud and clear, that despite Subramanian Swamy’s assertions, sections of the Indian Government remain firmly committed to engagement on the Tamil issue in Sri Lanka. This is in fact an accurate portrayal, despite the centre’s independence from Tamil Nadu politics as a result of an outright majority in the parliamentary election earlier this year. During the tenure of the Congress government, the BJP as the country’s main opposition, advocated strongly for a much tougher position against the Sri Lankan Government over its human rights record and refusal to strike a post-war power sharing deal with the Tamils. That the TNA visit startled the Sri Lankan Government is not in the least bit surprising. Bowled over by the likes of Swamy, whose statements and ideology resonate so strongly with the highest echelons of the Rajapaksa administration, the Government believed the bubble it had constructed about the ‘new’ New Delhi was something real. Faced with debilitating international challenges, the Government is increasingly seeking refuge in echo chambers, forging alliances with random stakeholders and minor actors, whose hypotheses it is desperately determined to believe are true. The regime has made similar mistakes with US-based public relations agencies and lobby groups to which hundreds of millions are being paid in Sri Lankan tax-payer monies. The Government believes strategic assessments by these paid firms to be accurate reflections of US policy towards Colombo. In reality, these are mirages created by PR agencies such as Thompson Advisory Group, which successfully convinced the regime that several 30 minute informercials portraying Sri Lanka as a peaceful, united country recovering from war and a resolution by 16 random US senators would alter the way Washington approaches the human rights situation in Sri Lanka. It defies logic on every level that the Government pays 99 million rupees to a PR agency to build its image in the US and alter attitudes in Washington and yet goes so stridently out of its way to antagonise Washington’s own official envoys in Colombo. How does the regime fail to understand that constructive engagement with these Colombo-based officials, whose reports land directly at the State Department in Washington, would save millions of dollars in public relations exercises? Instead it vilifies and talks down to diplomats in Colombo, in pseudo shows of prowess and bravado. Silk suits and silken accents, reinforcing what the Sri Lankan Government most desperately wants to hear: that it can do nothing and except international attitudes to change, that everyone has a price, that everyone is pliable and can be won over with platitudes, vacations and royal treatment in Colombo, are the Government’s preferred weapons of war in its international battles. New faces are things to rejoice over, for they afford new opportunities to engage with the same old arguments about Sri Lanka’s post-war successes. The tactics have replaced credible efforts to engage with the international community. Honesty and credibility in its dealings with international partners, as opposed to increasing belligerence and targeted personal attacks from Colombo would work miracles that multi-million dollar PR deals cannot. 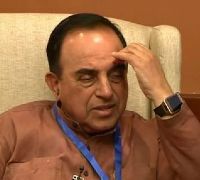 Subramanian Swamy, in one of his televised interviews while in Colombo, told a local channel that the UN investigation would be of no more consequence to Sri Lanka than a swarm of pesky mosquitoes. “Simply swat them away,” he advised the Government. If there is any lesson the Government has to learn from the coup that was pulled off by the TNA last week, it is the danger of lending too much credence to his claims. « Politically Ambitious Sajith Premadasa Must First Learn to be Grateful Towards his Father’s Loyalists Ranil and Karu.